Published on Wed 11 Mar 2019 at 16:23 in / Blog / by Joe. Tritech Engineering was awarded the electrical services contract for the new build development and refurbishment of the existing student building. The project consisted of 257 bedrooms, communal and recreational areas. Tritech Engineering have secured the mechanical services contract to deliver 3 No. commercial offices, 8 No. retail units & 88 No. premium apartments over two basement levels. 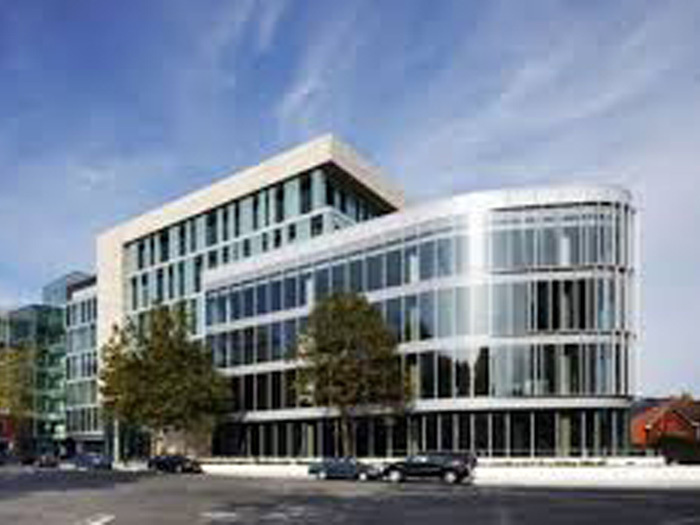 One Ballsbridge consists of 3 distinctive buildings consisting of 155,400 sq ft of premium Grade A office space designed to the highest specification (LEED Gold accreditation) and 88 prestigious residential apartments. 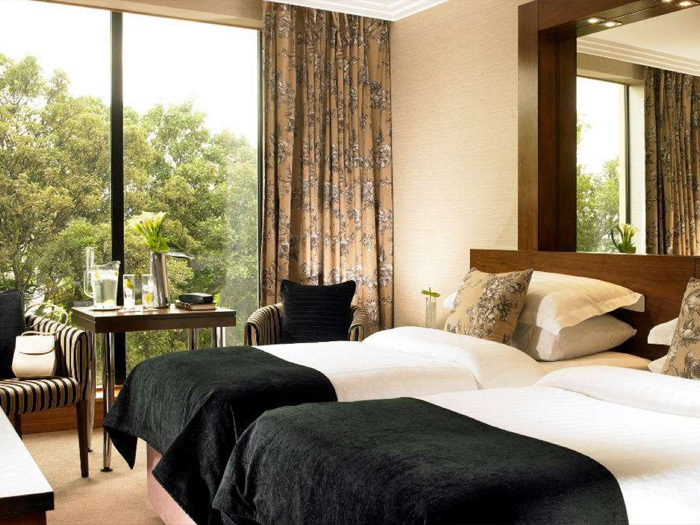 One Ballsbridge is being developed by The Comer Group. Construction is underway and scheduled for completion in Q2 2017. Tritech Engineering has secured the contract to deliver mechanical services to 190 premium riverside apartments. Kennedy Wilson are developing Capital Dock Campus. At 4.8 acres it is a city within a city. The development consists of grade A offices, premium riverside apartments along with unique amenities and public spaces. The construction phase has commenced and is on schedule for a Q4 2018 handover. Published on Fri 20 Dec 2018 at 15:20 in / Blog / by Joe. Tritech Engineering carried out the electrical services element of the refurbishment of Comhaltas Ceoiltóirí, Belgrave Square. The electrical installation comprised of alterations to the main distribution board, installation of emergency lighting, sub-mains cabling, general services, IT / Data networks, mechanical control wiring, security and fire detection systems. M/E Consultant: JV Tierney & Co. Published on Fri 20 Dec 2018 at 14:39 in / Blog / by Joe. Tritech Engineering carried out the electrical services element of the refurbishment of Coláiste Eanna, Rathfarnham. The electrical engineering services comprised of the replacement of the main distribution board, replacement of the sub-main distribution boards, installation of sub-mains cabling, installation of containment, alterations to the existing fire detection system and associated building works. Published on Fri 20 Dec 2018 at 12:43 in / Blog / by Joe. Tritech Engineering carried out the electrical services installation for the boiler house refurbishment in Bishop Shanahan National School. The electrical engineering services comprised of decommissioning the existing MCC panel & associated electrical equipment, installing a new MCC panel, distribution boards, lighting, general services and wiring of heating systems. Published on Fri 20 Dec 2018 at 12:41 in / Blog / by Joe. 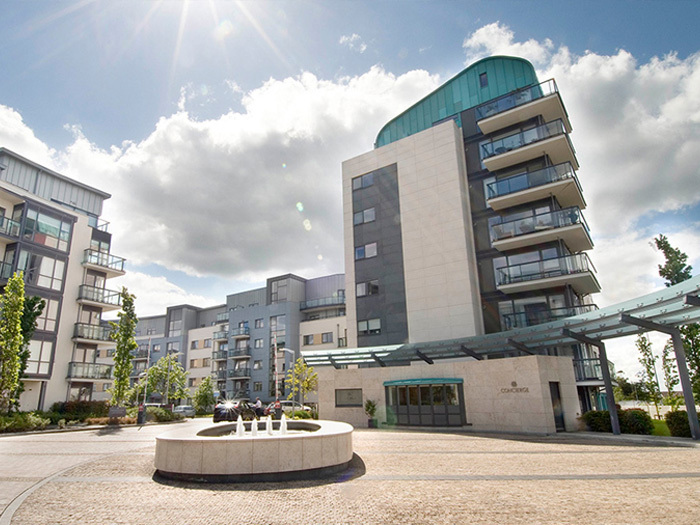 Tritech Engineering was awarded the electrical services contract for the residential development of Clancy Quay, Dublin 8. The project consisted of the electrical installation for 168 apartments. Published on Fri 20 Dec 2018 at 12:40 in / Blog / by Joe. Tritech Engineering was awarded the electrical services element of the works contract for The Aloft Hotel, Dublin. The project compromised of 202 bedrooms, corridors, reception, bar, restaurant and the shell & core installation of the retail units. Published on Fri 20 Dec 2018 at 10:45 in / Blog / by Joe. Tritech Engineering was awarded both the mechanical and electrical services installation for a refurbishment of RBS, George's Quay. 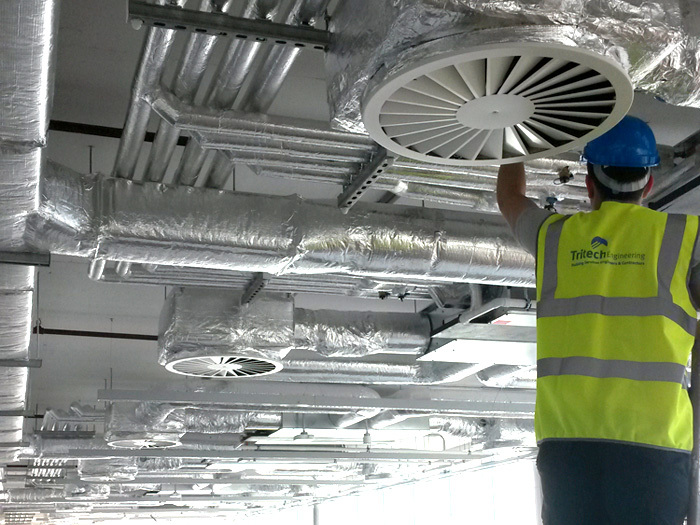 The mechanical engineering services comprised of the installation of VRF air conditioning units, G50 controllers, sanitary ware, AHU and associated ventilation ductwork. The electrical engineering services comprised of the installation of a DALI lighting system, emergency lighting system, general services, emergency call system, fire detection system, leak detection and mechanical services power for the level 4 executive area. Published on Fri 20 Dec 2018 at 09:15 in / Blog / by Joe. Tritech Engineering was awarded the mechanical and electrical services contract for the refurbishment of The Atrium, Block B. The building is 135,000sq ft and the project duration was 27 weeks. The M+E scope included the installation of landlord shell & core services and fully exposed CAT "A" fitout of all tenant floors. Published on Fri 20 Dec 2018 at 08:32 in / Blog / by Joe. Tritech Engineering was selected by PJ Hegarty & Sons as Mechanical & Electrical Services Contractor for the refurbishment of Ulster Bank Branches nationwide. The works were primarily 'Design & Build' for both branch & business centres. We carried out over 40 branch refurbishments for Ulster Bank & First Active throughout the country. The projects ranged from service enhancements to complete refurbishments. Method of procurement was negotiated & each project was reviewed by the client’s project managers (MACE). Published on Fri 20 Dec 2018 at 08:26 in / Blog / by Joe. Tritech Engineering completed both the mechanical and electrical services installation for a 50 bedroom nursing home extension and 36 sheltered living accommodation units above the basement car park. 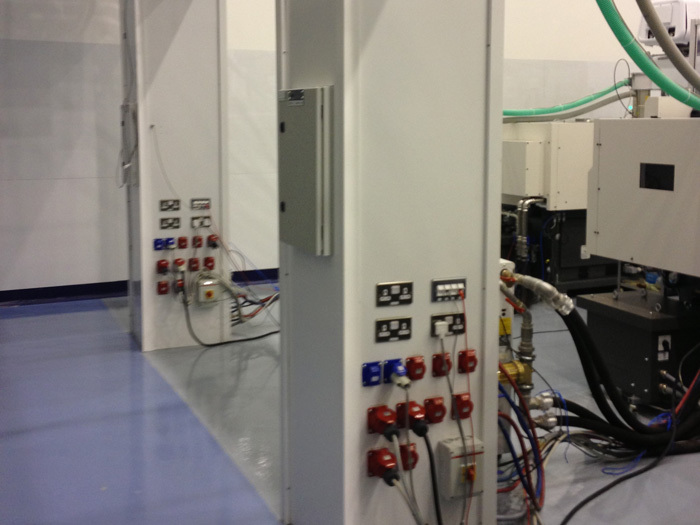 The mechanical engineering services comprised of LTHW systems serving LST radiator circuits, DHW & AHU circuits. Heat recovery ventilation to bedrooms & DX cooling to day care, exhaust systems, close control units to IT / Data room, water & waste services, medical gas installations and fire fighting services. The electrical engineering services comprised of internal & external lighting, emergency lighting, main & sub-main distribution boards, fire detection system, IT / Data & TV networks, nurse call system, intruder alarm, CCTV, access control and mechanical / BMS wiring. Published on Sat 14 Dec 2018 at 11:02 in / Blog / by Joe. 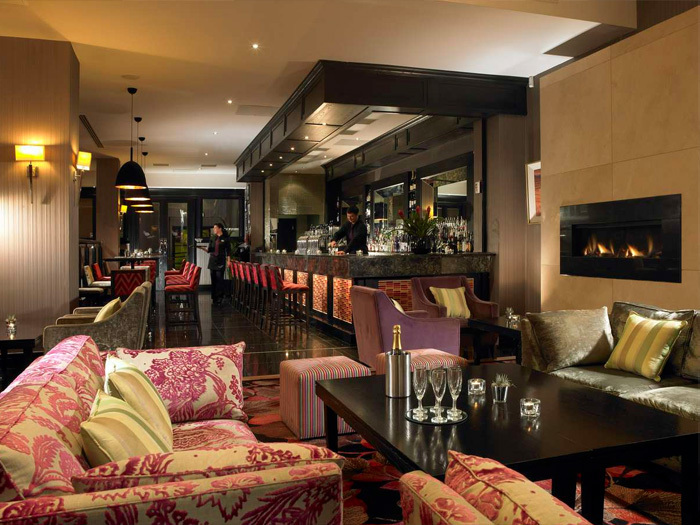 Tritech Engineering was awarded the electrical services element for the works contract for the refurbishment of The Temple Bar Hotel. The project covered of the redevelopment of the 138 bedrooms, corridors, reception, bars & restaurants. The works were completed in an occupied environment and was spread over 5 floors. Published on Sat 14 Feb 2018 at 18:18 in / Blog / by Michael. Tritech Engineering was appointed the mechanical services contract for the fit out of Kings Building, 152-155 Church Street, Dublin 7. 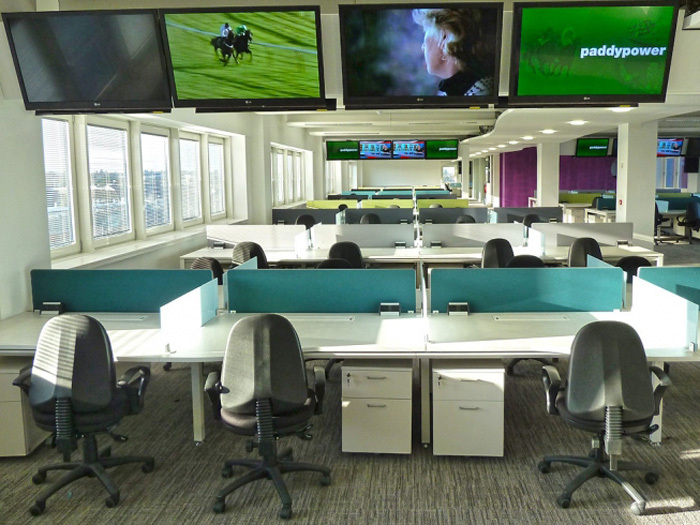 This project consisted of the fit-out of office space on ground, fourth fifth & sixth floors. The project was delivered in 2 phases with phase 1 fast-tracked delivering 80% of the contract in 12 weeks. Fan Coil Units, new, relocation of existing & removals. CHW & LTHW piped services. 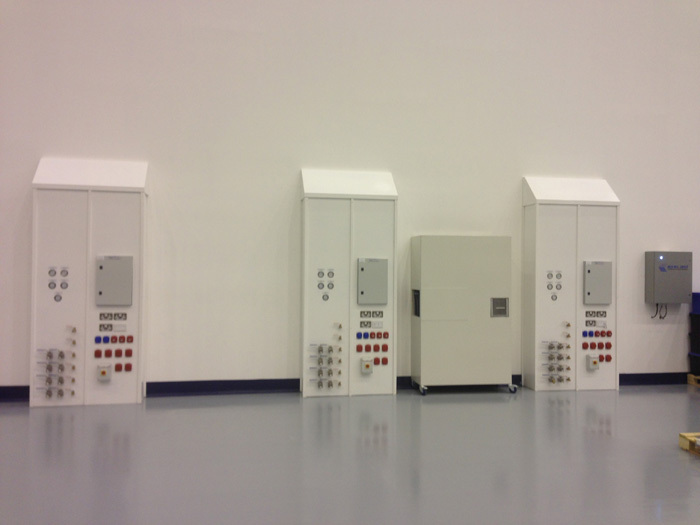 Close control units to comms room & tech rooms. Water, Drainage & Ventilation Services to Ground Floor Showers & Micro Kitchens. 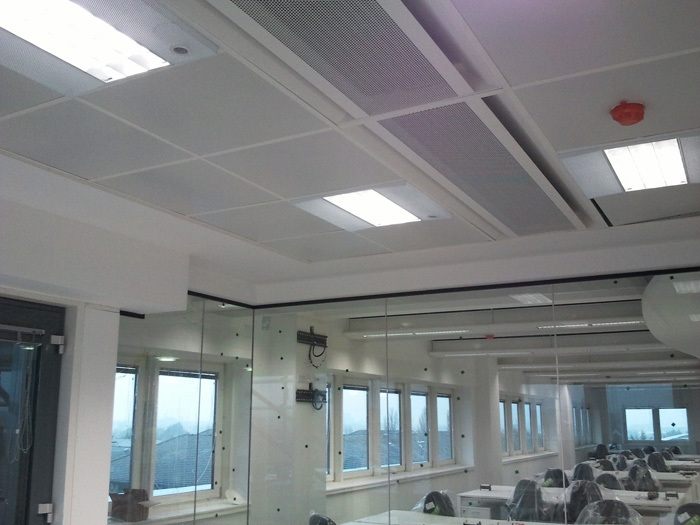 Heat recovery ventilation to all office floors. Utility Tie Ins c/w Management of Application To Landlord For Consent. Lead Co-ordinator for all specialist services. Published on Sat 7 Feb 2018 at 10:51 in / Blog / by Joe. This project consisted of the decommissioning and removal of the existing mechanical installation to the landlord core areas, reception & plant rooms . Upgrade of the main reception, toilet core areas at each floor level & showering facilities. The installation of new main plant including boilers, Heat recovery ventilation, Fan coil units & BMS controls. LPHW plant upgrade including boilers, flues, pumps and associated pipe connections. Provision of FCU's to all landlord levels including CHW, LPHW secondary air ducting, linear grilles, swirl diffusers, etc. Provide energy meters to all tenant floors. Soil, Water & Ventilation Services to landlord areas including toilets facilities..
Flushing, chlorination & chemical treatment of all site services. Reception area upgrade including . Published on Thu 5 Sep 2017 at 16:31 in / Blog / by Joe. HMS Host are the worlds largest provider of food and beverage services for business & pleasure travellers. The company has over 33,000 associates & annual revenues in excess of $2.7 Billion. Published on Thu 5 Sep 2017 at 16:11 in / Blog / by Joe. Published on Thu 5 Sep 2017 at 15:52 in / Blog / by Joe. Published on Tue 31 Aug 2017 at 16:22 in / Blog / by Joe. 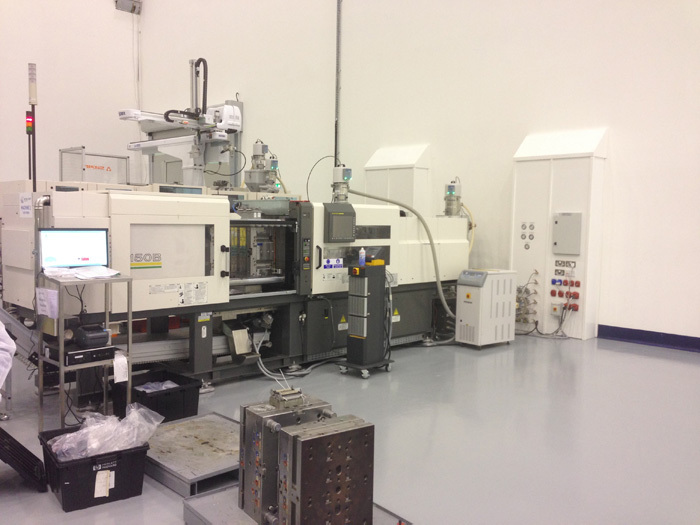 Tritech mechanical division has commenced the shell and core & CAT A fitout on this project. The Reflector is a six storey over basement office building extending to 123,000sq.ft net area. The finish specification is of the highest standards, featuring LEED Gold V4 accreditation and A3 BER Certification. A residential block of 40 apartments will also be constructed. John Sisk & Sons are the main contractor for the developer, Park Developments. The project will be delivered to BIM level 2 and Tritech Engineering will lead the services coordination. The project will be delivered by Q3, 2018. Published on Tue 31 Aug 2017 at 14:57 in / Blog / by Joe. Block K, Central Park is the latest building to be developed within the Central Park Complex. The project consists of two underground basement levels, a mezzanine level for retail & office use and three residential towers consisting of 166 apartments over eleven floors. The gross building area is 32,000m2 and handover is scheduled for Summer 2016. Individual LTHW heating to all apartments. Gas, Water & Ventilation Services to apartments. Fire fighting services to basement and wet risers in the building blocks. Suspended drainage & rainwater in basement. Smart controls in residential units. Published on Fri 6 Sep 2016 at 17:40 in / Blog / by Joe. Haddington Place is a new convent building consisting of three stories over basement. Published on Fri 6 Sep 2016 at 17:16 in / Blog / by Joe. Tritech Engineering completed enabling works and provision of mechanical services for a 2000m2, four floor over basement extension for John Paul Construction. The project was delivered in 2015. Enabling Works including the relocation of AC units, gas services, radiators, ventilation plant, etc..
New incoming gas service to existing plantroom & new plantroom. LPHW to all trench heating & radiators. Fire smoke dampers and associated control panel retrofit to all existing ventilation. Published on Fri 6 Sep 2016 at 10:38 in / Blog / by Joe. Tritech Engineering delivered the mechanical services element of the works contract for the HubSpot's new headquarters in One Docklands Central. This project provides for the high specification fit-out across 2 floors of office space. The fit-out includes office areas consisting of cellular and open plan layouts, fitness room, on-site pub & arcade games, conference rooms, collaboration spaces, nomad desks and rooftop terrace. CHW & LPHW to Waterside Controlled Fan Coil Units. Gas, Water & Ventilation Services to Canteen. Published on Thu 5 Feb 2016 at 14:24 in / Blog / by Michael. 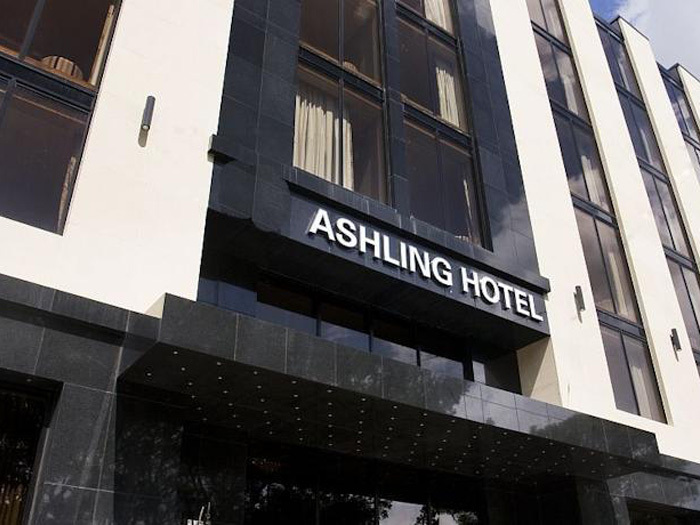 Tritech Engineering was appointed as the mechanical services contractor for the Ashling Hotel redevelopment. This project comprised of the demolition of the original 4 storey hotel building fronting onto Parkgate street & the construction of a new modern eight storey hotel building comprising ground & basement floor public facilities and 134 no. bedrooms. VRF Air conditioning to all rooms with local & central control & water cooled condensors. Published on Thu 5 Feb 2016 at 14:06 in / Blog / by Michael. Tritech Engineering completed the mechanical services contract for a 24 bedroom extension & associated living accommodation, hydrotherapy pool and canteen/coffee shop. All works were undertaken in a live nursing home environment without disruption to the daily operations of the health care facility. The mechanical engineering services comprises of LTHW systems serving underfloor heating & LST radiator circuits, DHW & AHU circuits. Heat recovery ventilation to the living accommodation, Central AHU's to the hydrotherapy pool and coffee shop, medical gas installations & BEMS system. Published on Thu 5 Feb 2016 at 12:19 in / Blog / by Michael. Tritech Engineering completed the mechanical services contract for a 60 bedroom standalone extension & associated living accommodation. All works were undertaken in a live nursing home environment without disruption to the daily operations of the health care facility. The mechanical engineering services comprises of LTHW systems serving underfloor heating & LST radiator circuits, water services, 24m2 solar input to the DHW, heat recovery ventilation to all areas, air conditioning of the living accommodation & BEMS system. Published on Thu 5 Feb 2016 at 08:46 in / Blog / by Joe. HMSHost are the worlds largest provider of food and beverage services for business & pleasure travellers. The company has over 33,000 associates & annual revenues in excess of $2.7 Billion. With locations in over 100 airports worldwide including Dublin, Shannon & Cork, the deliver the finest food and beverage experience. 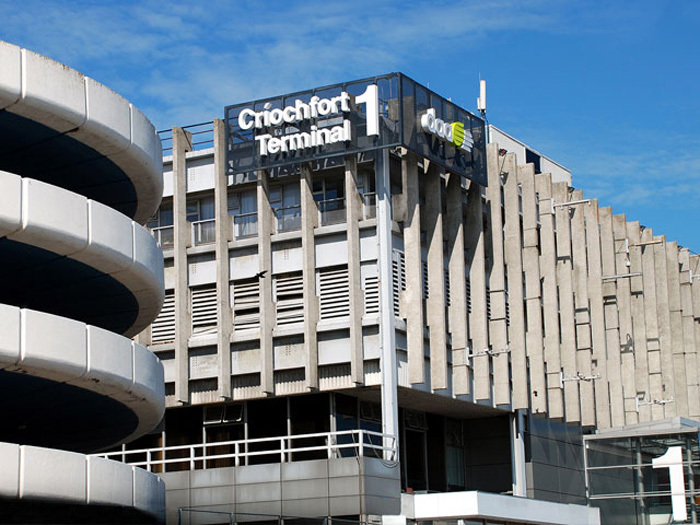 Tritech Engineering completed the mechanical services contract for the Market Hall restaurant in T2, Dublin Airport. Published on Wed 4 Feb 2016 at 08:43 in / Blog / by Joe. 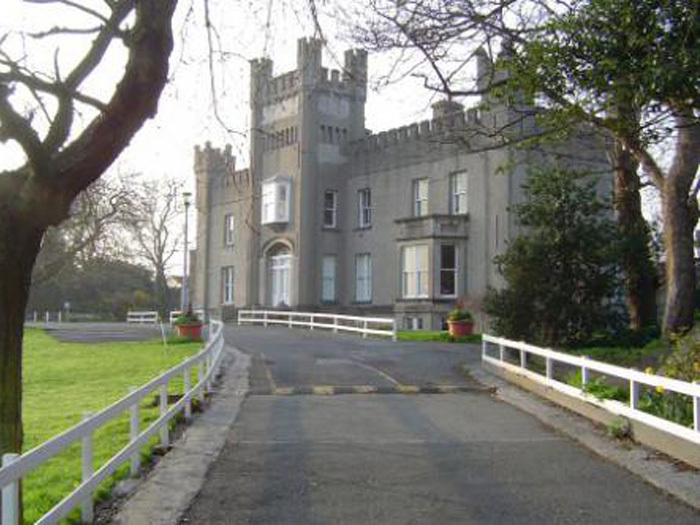 Griffith College is Ireland's leading private college with campuses in Dublin, Cork & Limerick. Tritech Engineering completed a “Design & Build” mechanical services installation for the development of a large multi-functional academic facilities building incorporating a 600 seat conference hall, lecture rooms, meeting rooms, restaurant & commercial kitchen. Gas, Water & Ventilation Services to Kitchen & restaurant. Main Contractor: PJ Hegarty & Co. Published on Tue 3 Feb 2016 at 14:38 in / Blog / by Joe. 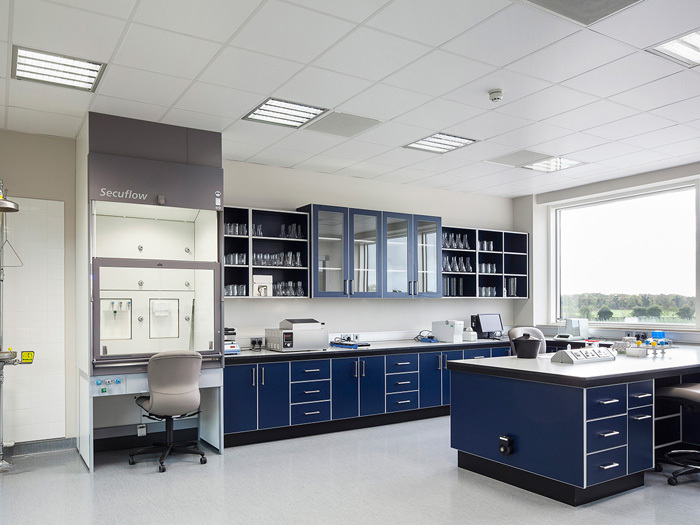 Tritech Engineering was appointed as mechanical services contractor for new pharma facility comprising laboratories and associated support rooms, cellular office space, meeting rooms & canteen. The mechanical engineering services comprises of energy efficient VRF air conditioning system to all office areas, mechanical heat recovery ventilation, chemical fume cupboards & associated exhaust systems, close control units to comms room, water services, medical gas installations. The project was designed with a high level of M&E co-ordination including 3D scanning, Revit MEP modelling (BIM). Published on Tue 3 Feb 2016 at 14:21 in / Blog / by Joe. 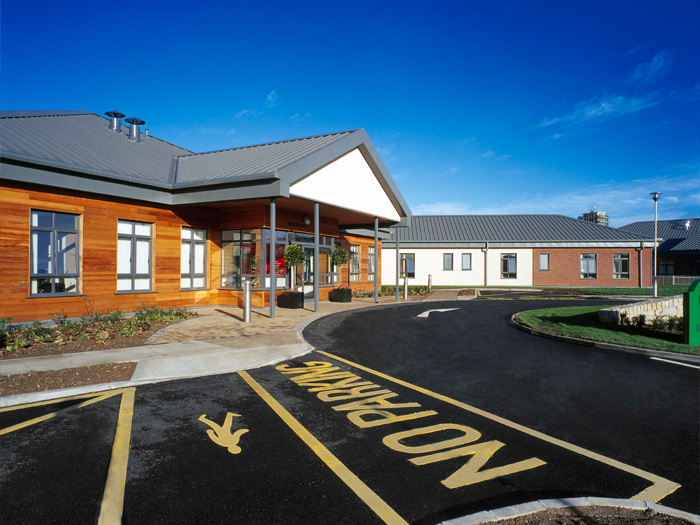 Tritech Engineering was appointed the mechanical contract for Beneavin House nursing home. Beneavin House was constructed in 2009 consisting of four storey accommodation including 123 single & 4 double ensuite rooms, commercial kitchen, basement car park. The mechanical engineering services comprises of LTHW systems serving LST radiator circuits, DHW & AHU circuits. Central AHU’s with DX cooling to day care and kitchen areas, exhaust systems, close control units to comms room, water & waste services, medical gas installations & BEMS system. Published on Sun 1 Feb 2016 at 12:46 in / Blog / by Joe. 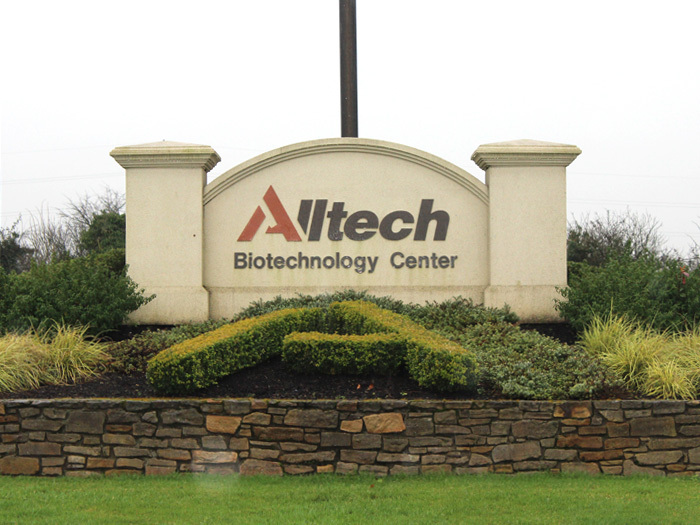 Tritech Engineering was appointed a mechanical & electrical services contractor for new European bio-research facility comprising laboratories, marketing and administration building together with alterations to the existing building. The mechanical and electrical engineering services comprises of specialist lighting design for the Conference Rooms and Board Rooms, the latest PIR control energy efficient 4 Pipe fan coil unit air conditioning system, LPHW & CHW systems, mechanical heat recovery ventilation, chemical fume cupboards & associated exhaust systems, close control units to comms room, water services (including well water and rainwater usage), UPS installation, lift installation, medical gas installations, data and communication, AV installation, generator, general power etc. 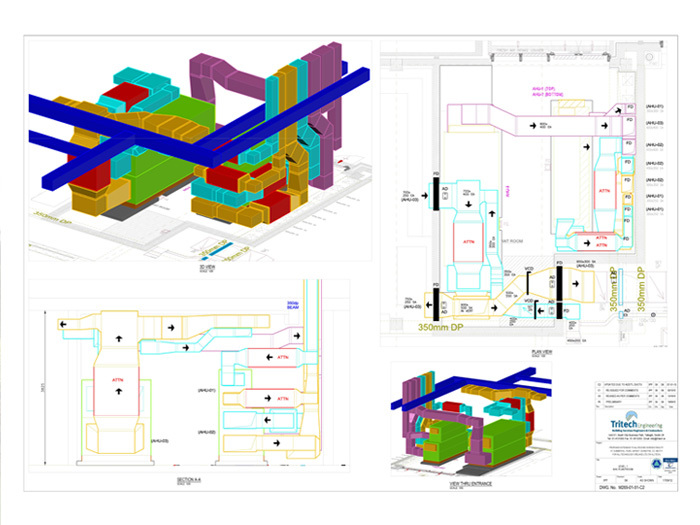 The project was designed with a high level of M&E co-ordination including Revit modelling (BIM) of plant rooms. Published on Sun 29 Jan 2016 at 10:06 in / Blog / by Joe. Tritech Engineering acted as PSCS for the Electrical installation & building works at Dundrum College. Published on Sun 29 Jan 2016 at 10:02 in / Blog / by Joe. Published on Sat 28 Jan 2016 at 19:49 in / Blog / by Joe. Published on Sat 28 Jan 2016 at 16:49 in / Blog / by Joe. This project included a Category A fit-out of the 2nd & 3rd floors, including Lighting, General Services and Fire Detection. It also contained a full electrical fit-out of the ground floor reception, landlord areas and basement. Access Control, including a Speed Lane System, CCTV and Fire Detection was installed throughout the premises. Published on Fri 20 Nov 2015 at 09:57 in / Blog / by Joe. Block 1, Wycham Point is a residential development of 185 apartments over a podium basement shared with two additional blocks. Tritech Engineering was appointed as Mechanical contractor for block 1 construction. Individual LPHW heating to all apartments. Fire rated ducting to basement lobbies. Published on Fri 20 Nov 2015 at 09:56 in / Blog / by Joe. Tritech Engineering were awarded the Mechanical Services element of the works contract for the new UTV Ireland in Macken House. This project provides for a state of the art TV production studio and office space. 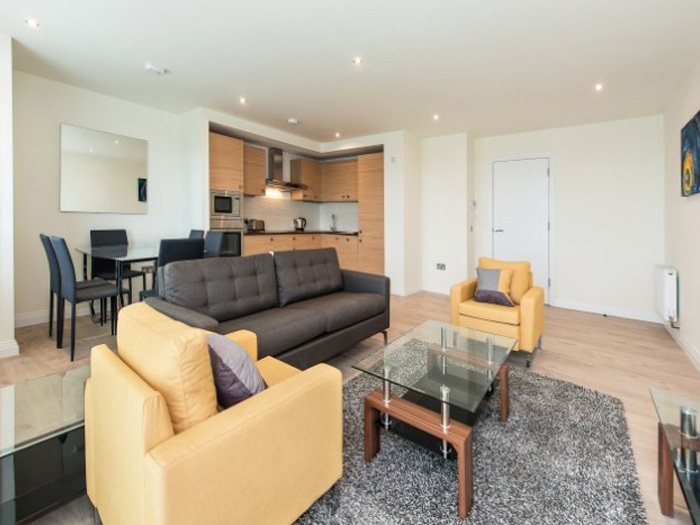 Comprising of studios, editing suites, open plan office, meeting rooms & pods. This fit out provided an open ceiling design with exposed mech & elec services requiring a detailed level of coordination. Published on Fri 20 Nov 2015 at 09:55 in / Blog / by Joe. This project consisted of the decommissioning and removal of the existing mechanical installation over 6 floors totaling 120,000 sq ft and the installation of new main plant including chillers, heat recovery air handling equipment, boiler plant & BMS controls. The office areas consisted of cellular and open plan layouts with active multi service chilled beams. Unique requirements included broadcasting radio studios, TV studio and staff restaurant with full commercial kitchen for 900 plus staff. CHW & LPHW to 300 Multi Service chilled beams, Fan Coil Units & Associated Plant Areas. Gas, Water & Ventilation Services to Kitchen & Canteen. FM200 Fire Suppression to comms room. Published on Fri 20 Nov 2015 at 09:51 in / Blog / by Joe. A NEW FOOD market style restaurant in The Loop at Terminal 1, Dublin Airport. 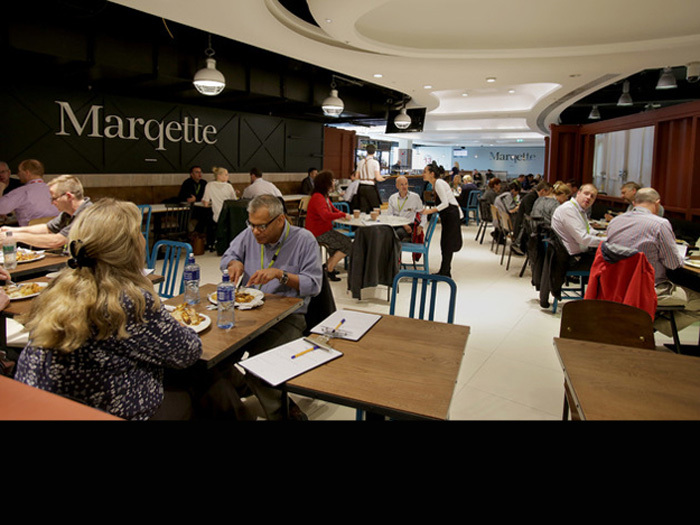 The food market and bar, Marqette, offers locally sourced, organic produce and fresh artisan breads, catering to 5,000 people daily. This project consisted of the decommissioning and removal of the existing mechanical installation and the installation of new main plant including exhaust ventilation fans, heat recovery air handling equipment, hot water generation, water storage tank and boosting & BMS controls. Commercial kitchen catering for a restaurant capacity of 260 people. Published on Fri 20 Nov 2015 at 09:34 in / Blog / by Joe. Tritech Engineering was appointed the mechanical contract for two single storey community nursing homes. 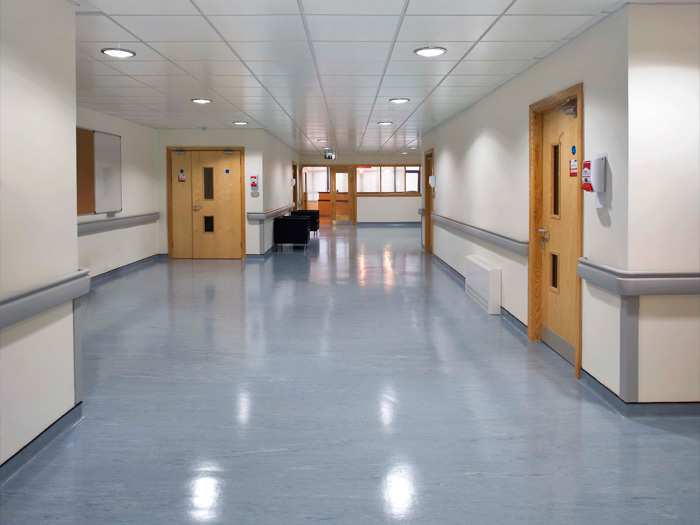 The units were constructed off site using system build technology for the HSE with a combined floor area of 55,000 sq ft buildings to fulfil the HSE requirements for community nursing facilities and to combat the spread of infection providing modern high specification public health care facilities for elderly and high care dependency patients. Published on Fri 20 Nov 2015 at 09:28 in / Blog / by Joe. 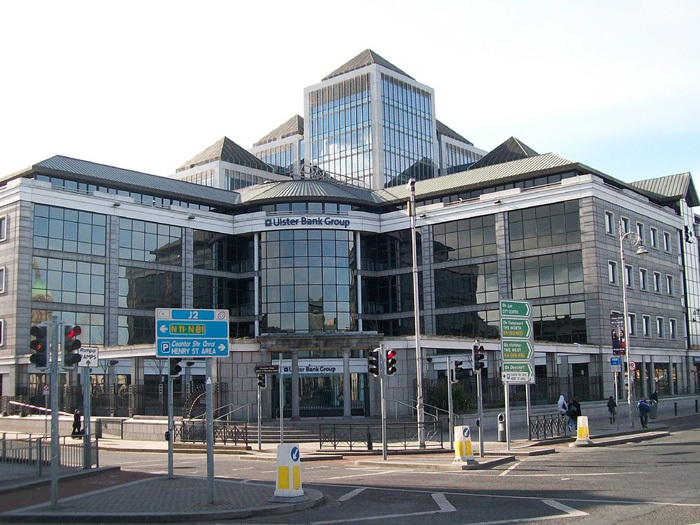 Tritech Engineering was awarded the M&E Services element of the works contract for the new AdRoll headquarters in Burlington Plaza, Burlington road, Dublin 4. 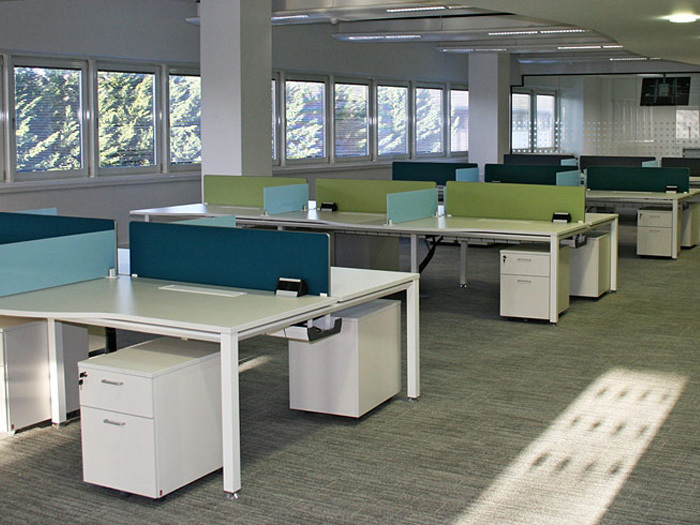 This project provides for the high specification fit-out across 2 floors of office space. This project has been designed to achieve an energy efficient services installation. The fit-out includes 2 floor of office areas consisting of cellular and open plan layouts with air side controlled fan coil units in an open ceiling design. CHW & LPHW to Air Side Controlled Fan Coil Units. Published on Wed 4 Nov 2015 at 17:43 in / Blog / by Joe. Tritech Engineering was selected by PJ Hegarty & Co as Mechanical & Electrical Services Contractor for the refurbishment of Ulster Bank Branches nationwide. 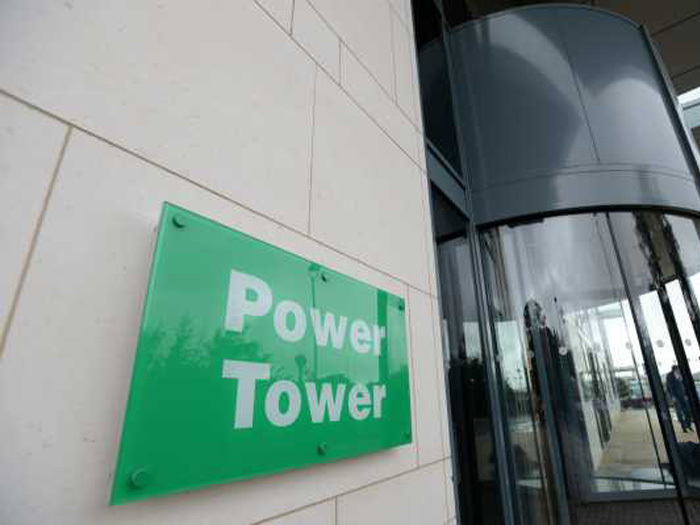 The works were primarily design & build for both branch & business centres. 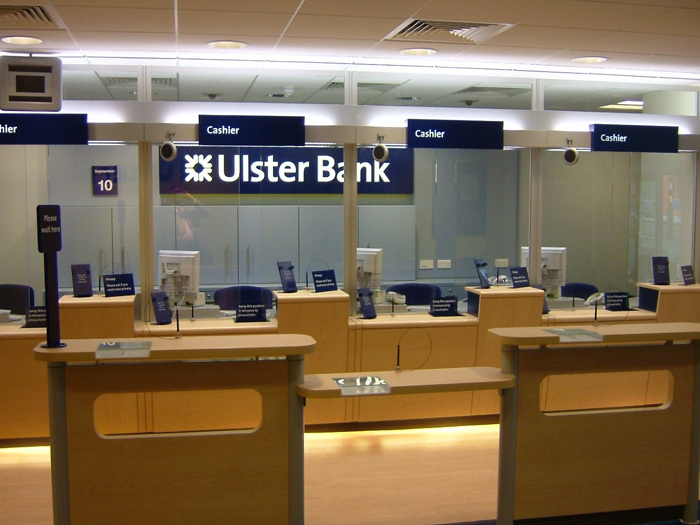 We carried out over 40 branch refurbishments for Ulster Bank & First Active throughout the country. The projects ranged from service enhancements to complete refurbishments. Method of procurement was negotiated & each project was reviewed by the client’s project managers (MACE). Published on Thu 19 Oct 2015 at 15:30 in / Blog / by Michael. Castle Park was founded in 1904 & as part of the School’s Centenary Development Plan, 2004, it was decided to renew all of the school buildings, to provide unrivalled indoor educational and sports facilities and at the same time to redevelop the outdoor amenities of this wonderful fifteen acre campus. Tritech Engineering was appointed as Mechanical “Design & Build” contractor for the redevelopment. 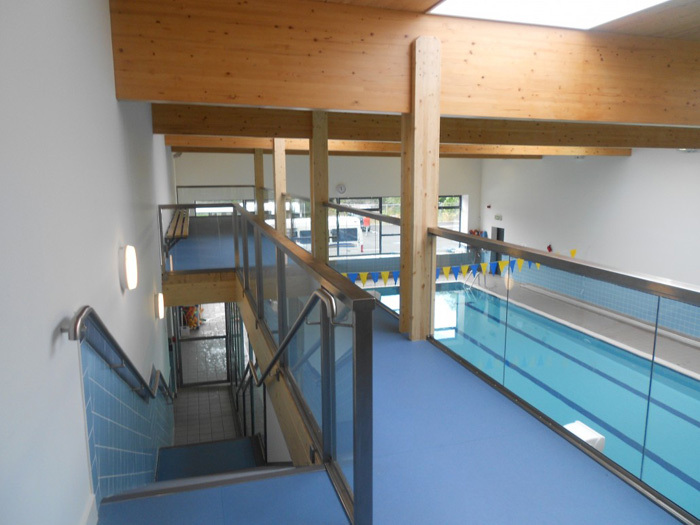 The redevelopment included services upgrade of the existing castle (protected structure) & new extension including a Montessori and a primary section, assembly hall, swimming pool, changing areas, commercial kitchen and administration rooms & sports hall (Gym). The outstanding new facilities were opened in September 2008 and today’s pupils enjoy a world class educational facility. You are viewing 50 of 50 blog entries. Click here to see all blog entries or click here to subscribe to this blogs RSS feed.